McDrake International • View topic - What can we say about Barks? What can we say about Barks? Robb_K wrote: Of course! He was a WESTERN scientist! Wat dom! This is what happens when you get senile. But, in any case, he wasn't an Arab. Everyone knows Arabs only wear Galabia's and Kufia's! Nonononononono! Is Persian indeed! You right, me wrong! No way he Arab! And no way he European! He Persian with studying-background in Europe. Is self-evident! Clutchy Egg doesn't get it. Where in 'Ancient Persia' do you see information on the background of the mad scientist? This story is the one that answered the questions if there are any weddings in Barks-stories. 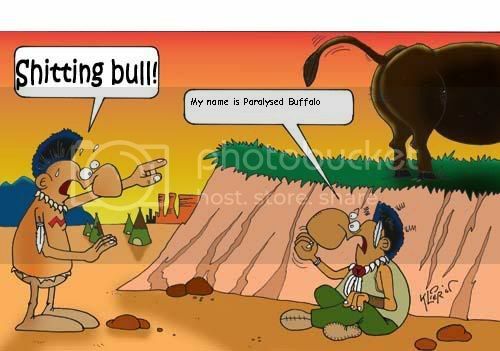 Paralyzed Buffalo wrote: Me know the story! Me know the story! Is story in which Donald going to dress-up party in harnass! He then chasing away nasty lions! Snobs standing for John Joker. Beautiful and emotional things happen in reader's perception ability after reading this one. Really fairy-tale! I like this story for Donald being an individual believing in his dream, despite the negative attitude of others. It's almost cheesy when thinking of it this way, but Barks tells it in a way that makes clear that an individual can make an important difference. What I find interesting is that the people can't get out because they are in panic, forgetting that the door opens inwards. They can't get out because they lock the door by pushing against it. That's what happens in reality. Barks is realistic in showing what happens (or might happen) in real-life. How people can be. They are mighty when everything is safe for them, but when the lions get loose, they can't even open an open door.